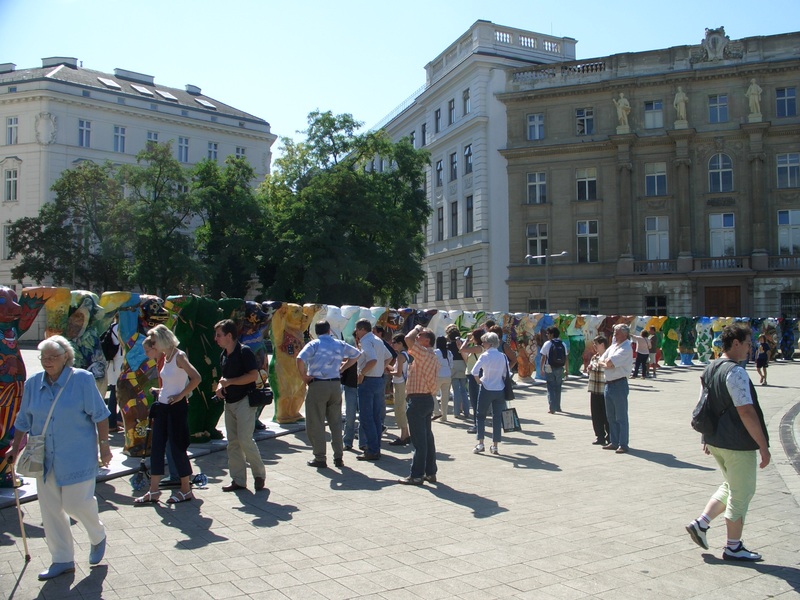 From 1st September to middle of October 2006 the United Buddy Bears visited Vienna and were shown at Karlsplatz. 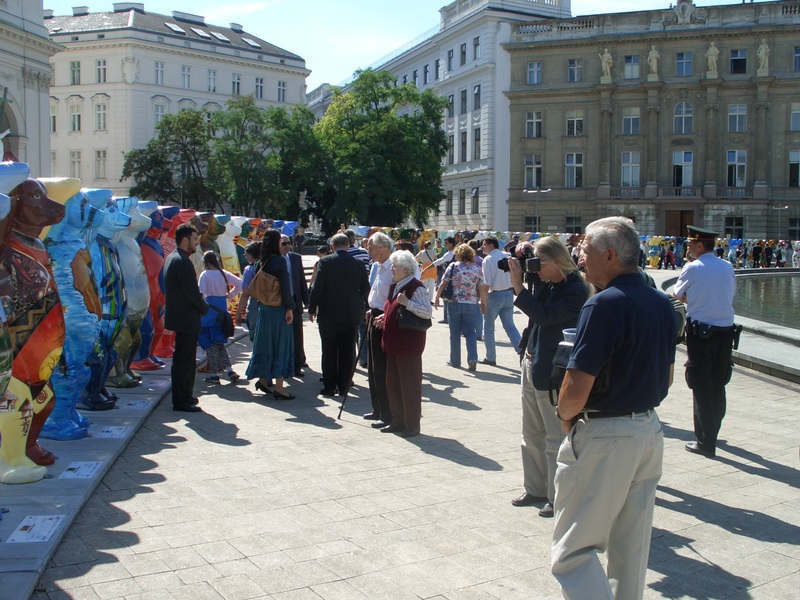 Please read the Message of greeting by the Mayor of Vienna Dr. Michael Häupl. 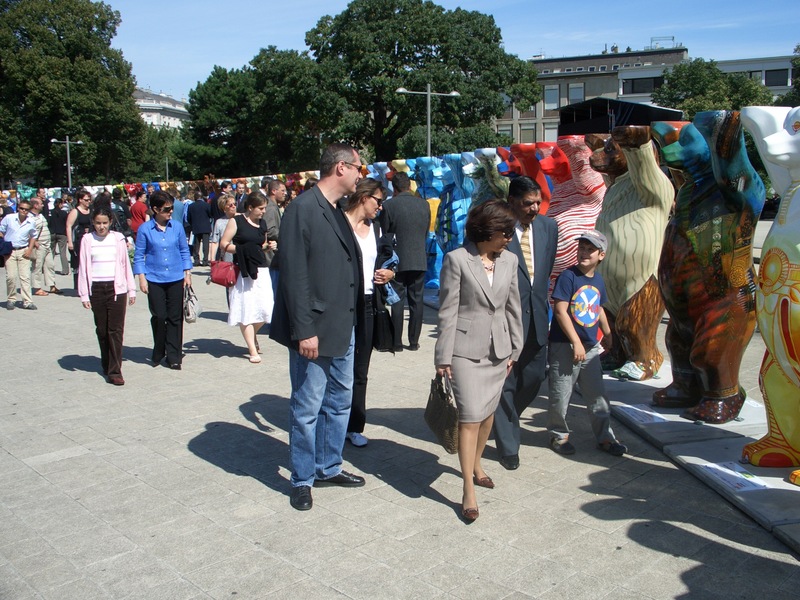 On the occasion of the exhibition opening by the Deputy Mayor of Vienna, Grete Laska and the Mayor of Berlin, Karin Schubert, a new Austria Bear, designed by the Viennese artist Brigitta Eminger, was also presented for the first time. In her opening statement, the actress Christiane Hörbiger, who took part in the opening ceremony in her role as a UNICEF Goodwill Ambassador, highlighted the dedicated work of the organisers and thanked all sponsors and donators supporting this unique project promoting international understanding. 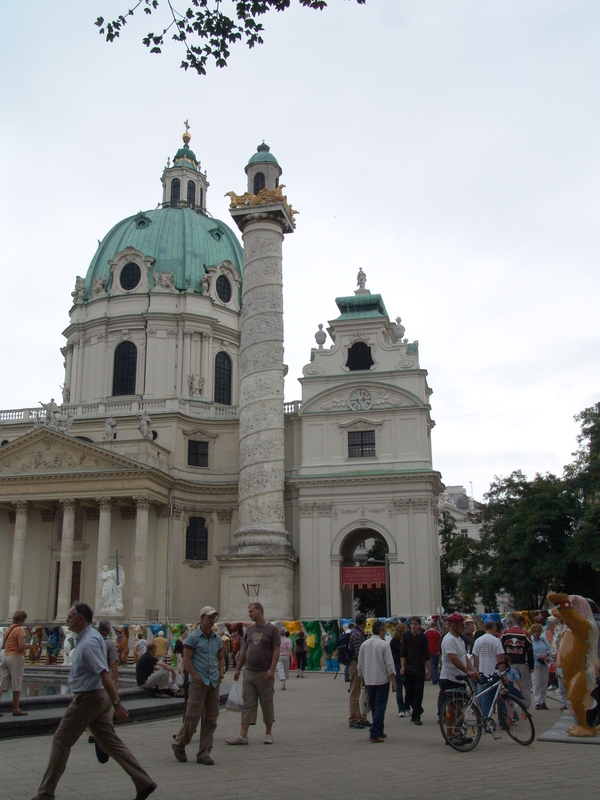 The exhibition was very popular with people from Vienna and tourists. 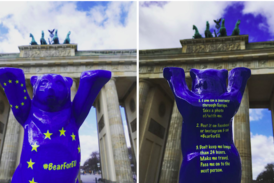 Many school groups visited the exhibition, learning new aspects of foreign cultures through the colourful bears - lots of fun included!